On Friday, September 7th at high noon on Erie Blvd., north of Monroe St., in Schenectady, NY, the graphic above will be up on a giant billboard, and people will gather to discuss and promote the message. This is one example of a project that is catching on around and outside of the United States, and in which World BEYOND War is partnering with local organizations. We’re finding that these billboards can generate media attention and introduce people to a more in-depth sort of awareness than can fit on a billboard. Just as a massive march and rally can bring new people into an activist movement, a billboard can open new eyes, and inspire eyes that are already open to connect with others in an effort to change the world. 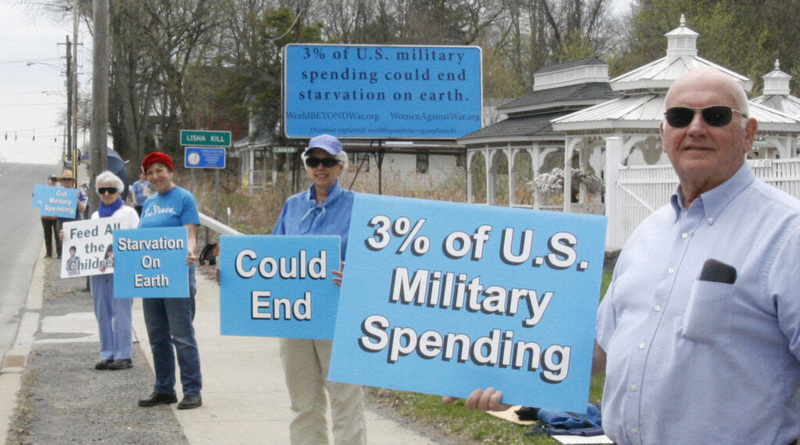 Women Against War (WAW) is coordinating this billboard launch with a weekly vigil of Schenectady Neighbors for Peace/Upper Hudson Peace Action. 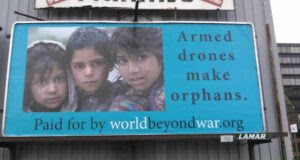 The billboard project was designed by World BEYOND War. 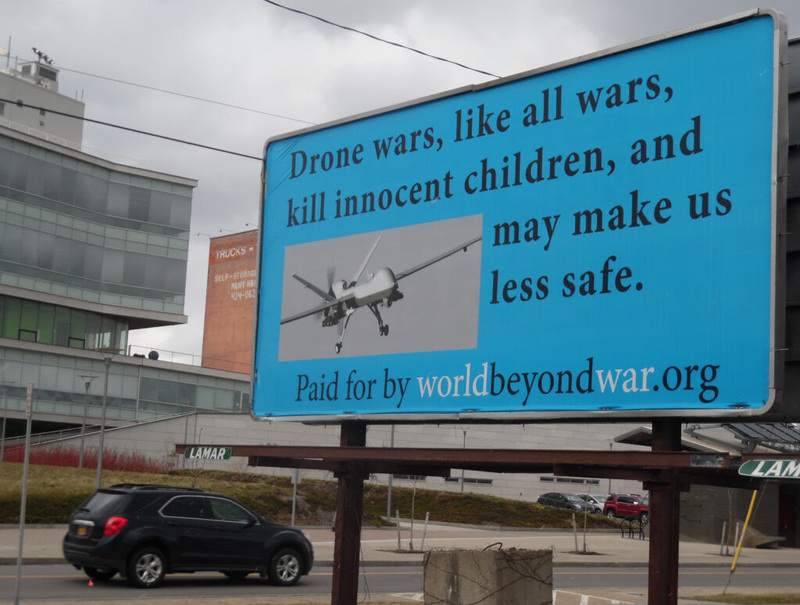 During September, WAW will sponsor two billboards in the New York State Capital Region, both with the same message. The second one will be on Central Ave., Albany, west of Westgate Plaza and Yardboro Ave. In New York City thanks to the Puffin Foundation, huge billboards at 11th Ave and 49th St., Sept. 3 to Oct. 28, 2018, and 11th Ave and 45th St., Sept. 3 to Nov. 25, 2018. 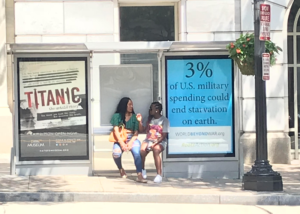 These billboards near the Intrepid aircraft carrier / ad for war will, we hope, generate more interest in working for peace among un-engaged residents of the largest city in the United States. 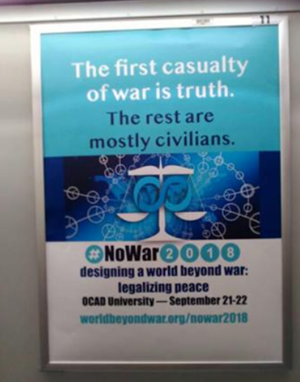 From the week of Aug. 27 to the week of Sept. 23, 2018, two ads in each of these Toronto, Canada, subway stations: Dundas, St. George Bloor-Danforth, St. George Yonge Line, and Queen. 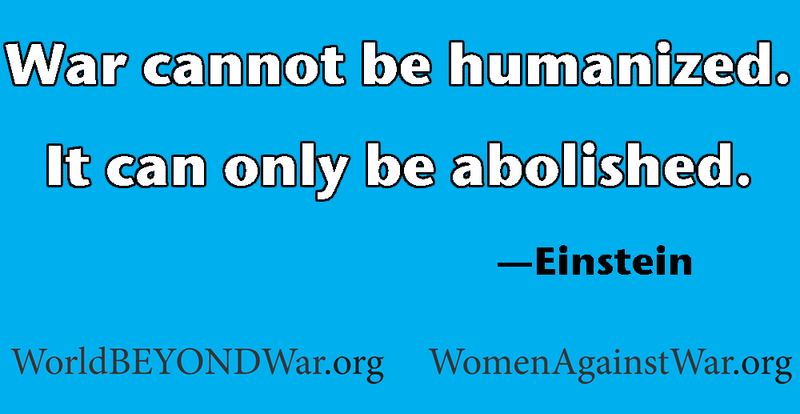 If you have ideas for this campaign or want to try it out near you, contact World BEYOND War.